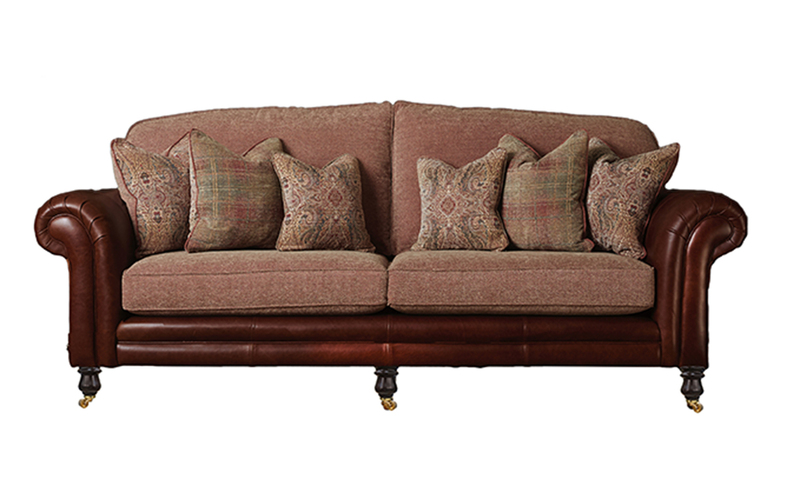 Introducing our Eloise Sofa. 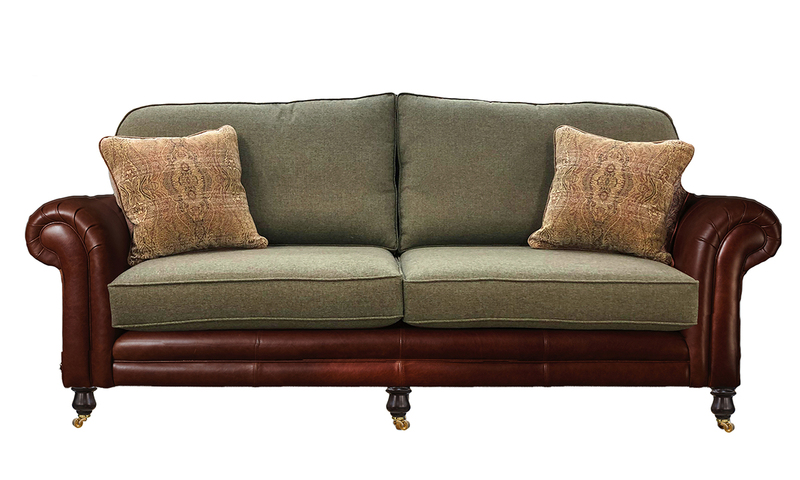 This is our Leather Louise Sofa but now has the options of having fabric seat & back cushions. Made with 100% real leather. Sizes can not be amended with any of our leather sofas. Choose from over a 1000 fabrics for your back and seat cushions. The Leather/Fabric Eloise comes as a Grand Sofa, Large Sofa, Small Sofa, Love Seat & an Armchair & with a matching Costa footstool or perhaps an Ottoman, Ottolong to finish the look. Our Queen Anne is available in leather also.